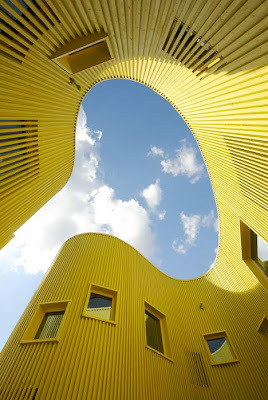 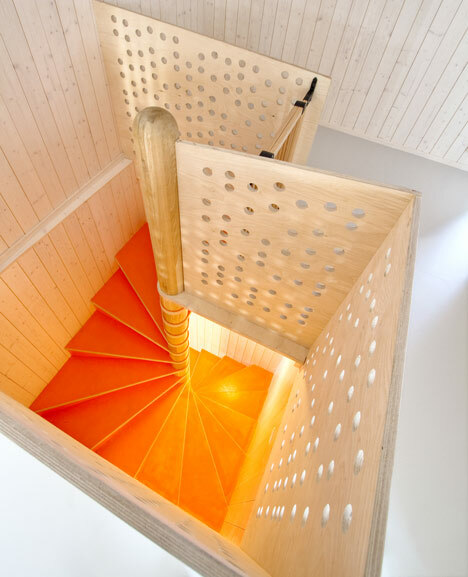 Many architects overseas are creating fun, playful and creative architectural environments. 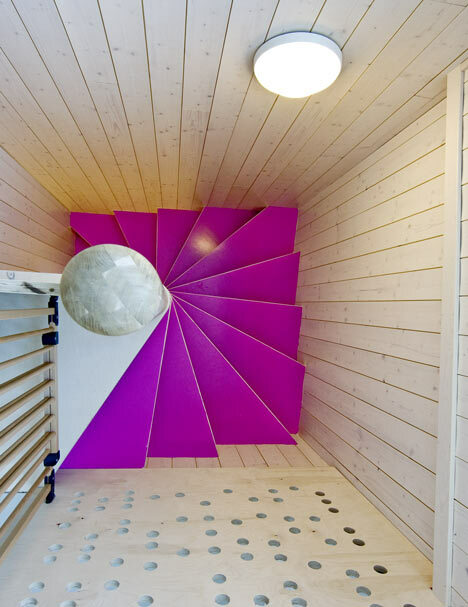 Here is a glimpse of a few recent projects, which utilise colour and imagination. 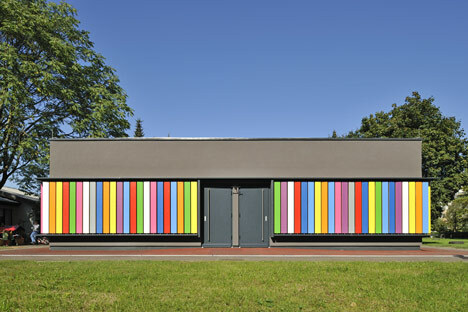 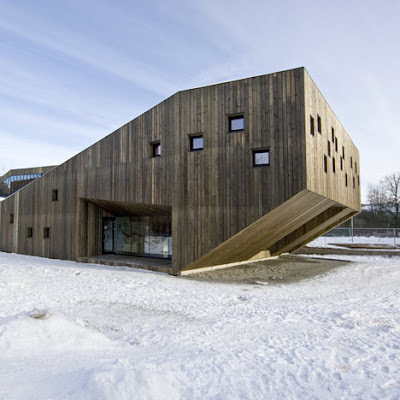 Kekec is an extension of a typical Slovene prefab kindergarten from the 1980's. 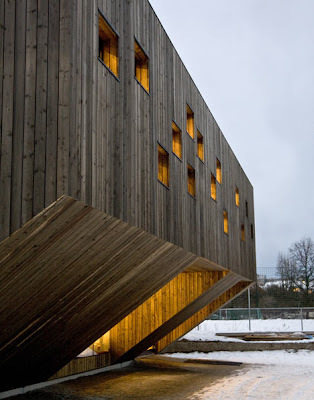 Made from prefabricated wood, it was built in three days only. 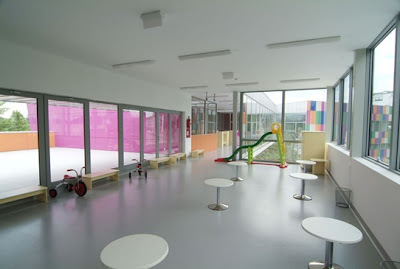 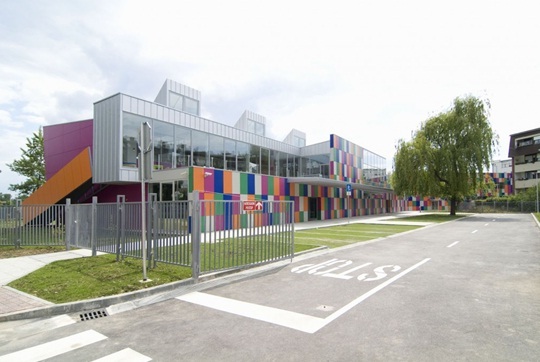 The design concept derives from the existing kindergarten's lack of play equipment. 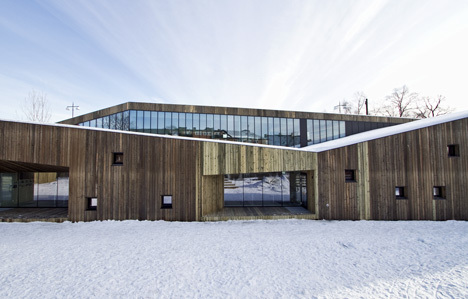 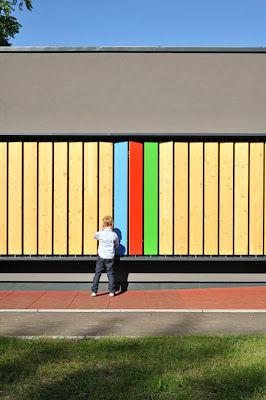 The new facade solves this problem by offering play with the slatted walls. 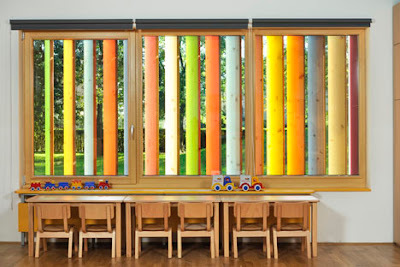 From the architects: "as the children manipulate the colourful wooden planks they get to know different colours, experience wood as a natural material and constantly change the appearance of their kindergaten, all at the same time." 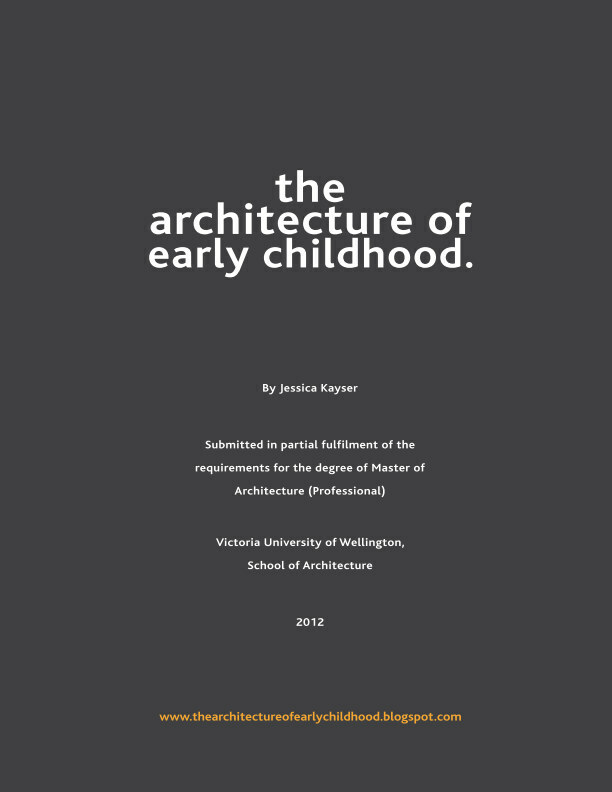 Here is an example of architecture serving a role in offering play for children (rather than purely objects/toys). 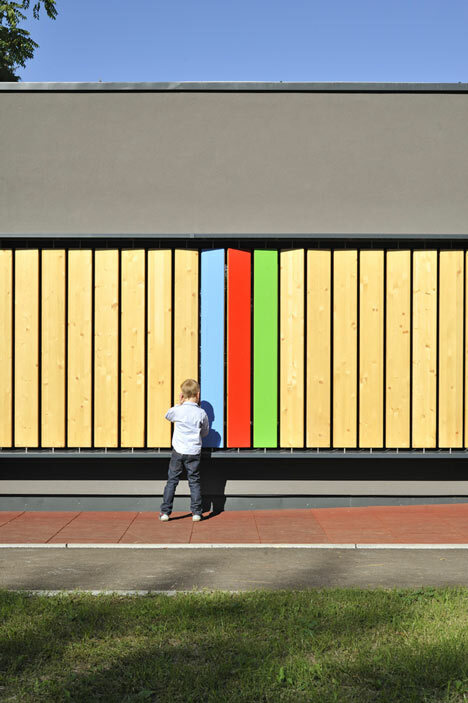 The interactive facade allow children to manipulate their environment and play a role in the amount of light and air allowed into the spaces. 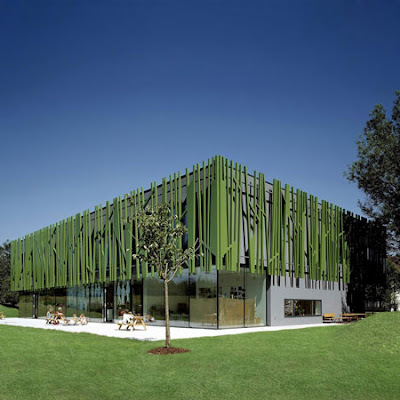 "Can you hear the grass growing?" 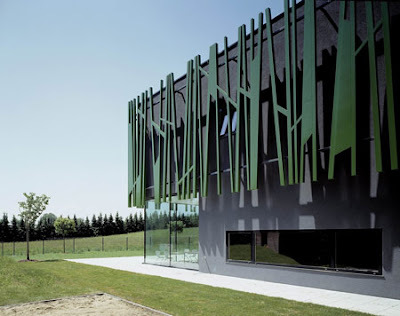 The concept of the facade is blades of grass which serve also as shading and a continuation of the landscape. 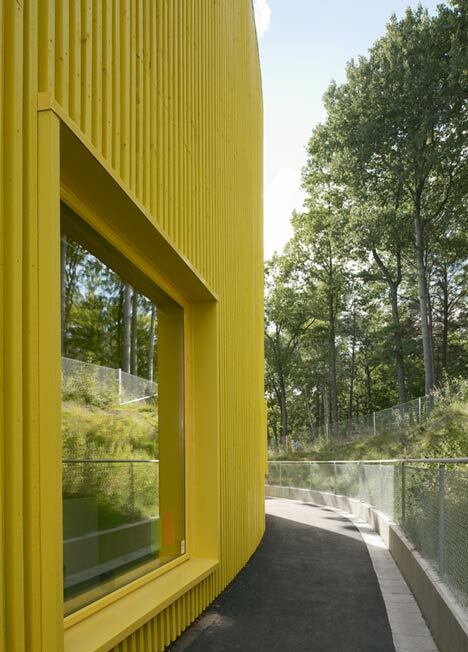 From the architects: "As the kindergarten is the first station of education, we have chosen green as the ‘color of life, youth, and spring.’ The psychological workings of the color green play an important role: Green is a color that calms and harmonizes. 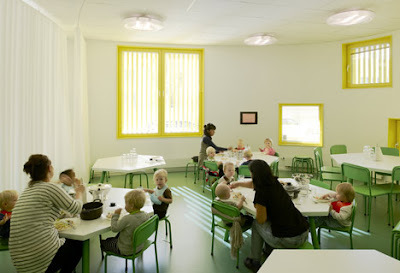 Green enhances qualities such as helpfulness, endurance, tolerance, and contentedness. 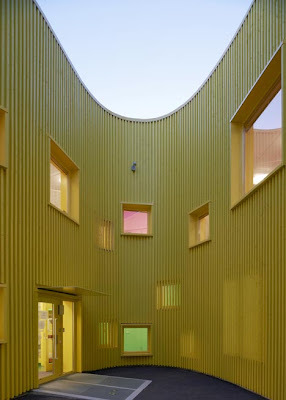 In color therapy, green is viewed as a neutral healing color that balances without causing bodily pain or counter-reactions. 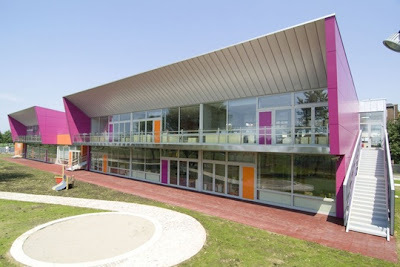 It creates a space for gathering energy and promotes regeneration."